Happy Spring! It feels so good to finally say that! We all have just returned from Peer Conference in La Vista, NE and maybe you are feeling like me - exhausted but full. Full of knowledge from the awesome education sessions and networking; Full of excitement to start applying all of those wonderful ideas and Full of love and support from all of the amazing friendships I have made to empower myself and help remind me why I do what I do. The fabulous FAM tour took us across Nebraska earlier in the week, packed full of interesting stops that will appeal to all types in your club and is sure to be a destination your club will love. Our thoughts and prayers are with Nebraska during their flood recovery this spring. It was great to see many new faces among our bank directors and partners, and we appreciate your fresh input! Being able to share and learn from each other and have personal connections are some of the biggest perks of HCI! When a director leaves or retires, it's never easy. We will be sad to see Val Kelsey and Linda Cloutier retire at the end of this year. Their guidance, wisdom and friendship will be missed and we thank you for your years committed to HCI. 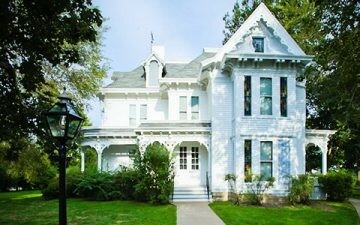 In May, the advisory board will meet in Independence, MO which is the sight of our 2020 conference. During our meeting we will review the results of this year's conference and begin the planning process for another wonderful HCI experience. 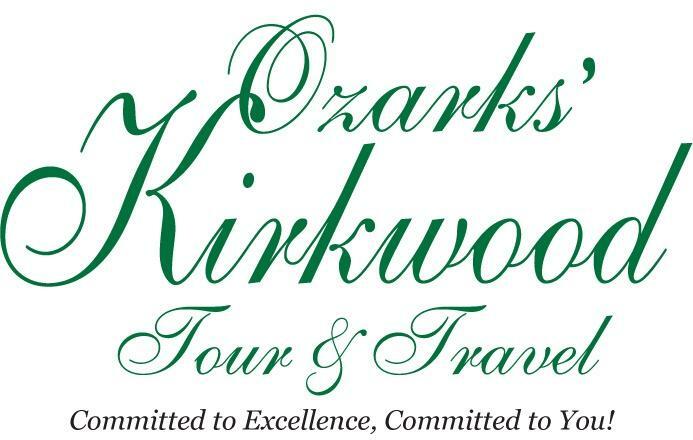 The Missouri team has great plans for us, so mark your calendars and join us February 24-28, 2020! 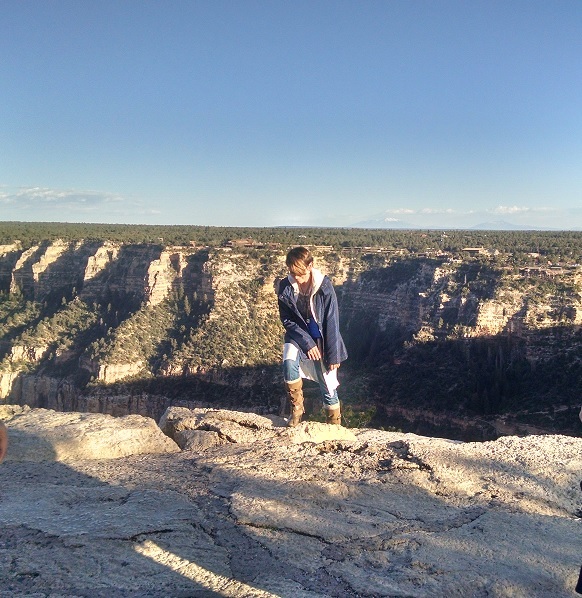 At Peer Group, Holly Wiest led us in some stretches and exercises that can be done while on the motorcoach. She has provided some directions for these and they have been posted on the HCI Best Practices page . You must first log in in order to access it. Once you're signed in, you can download it or print it for your records. ﻿Sarpy County, Nebraska. She replaces Val Kelsey, CBCD from D.L. Evans Bank in Burley, ID who will be retiring from the bank later this year. Although many of you have met her, we thought we'd put together a few fun facts about Melanie so you get an even better idea of who she is. 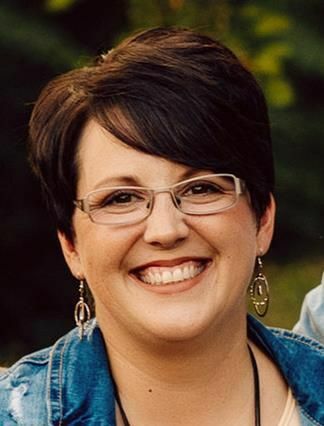 Melanie has worked at Farmers Savings Bank & Trust in Vinton, IA for 6 years - the last 5 years as Heritage Club Director. Some of the many hats Melanie also wears at the bank are Marketing Director, Teller and back up to Head Teller. Melanie has been married to her high school sweetheart, Ryan for 18 years. They have 4 children, Marjorie (15), Abigail (14), Hayden (12) & Nile (10). She enjoys watching her kids participate in the many activities they are in. In her spare time (ha! ), Melanie runs a cake/cookie decorating business from home. She enjoys learning history of wars and presidents, especially the Kennedys, and she will belt out patriotic songs with pride. Melanie won’t pass up an antique store, if she can help it, to find another Fenton glass shoe for her collection. She loves to laugh and you will always see her with a Diet Coke. She has enjoyed her role on the Advisory board and is looking forward to learning more and growing in her new position as Board Chair. 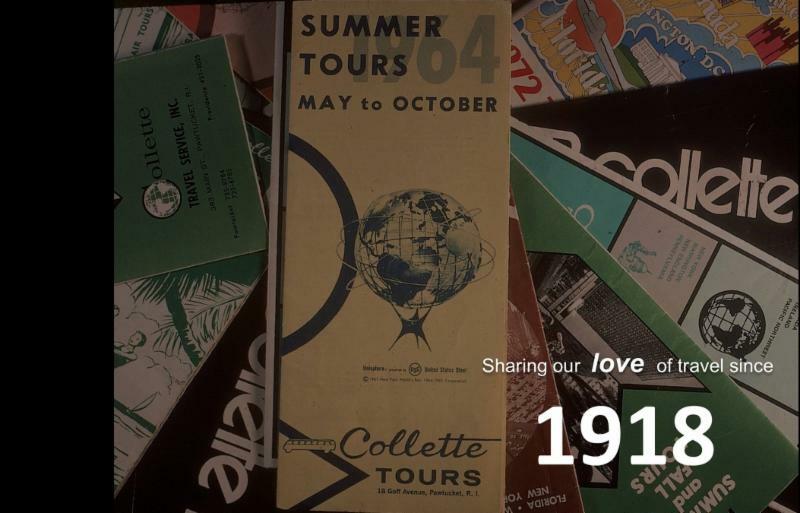 In 1918 Collette set out to make travel a way of life. For Over 100 years we’ve led the way in helping guests navigate all 7 continents in Style. Innovation and change have been a part of our great history of leadership with Jack Collette to Dan Sullivan Sr. and the last several decades with Dan Sullivan Jr.! Leading us into the next century is Dan’s daughter Jaclyn Leibl-Cote, and we couldn’t be more excited for Collette’s future! Bank Travel programs build Loyalty. IT’S THE PERFECT WAY TO HAVE FUN WHILE GENERATING REVENUE AND CREATING A STRONGER PRESENCE IN THE COMMUNITY. 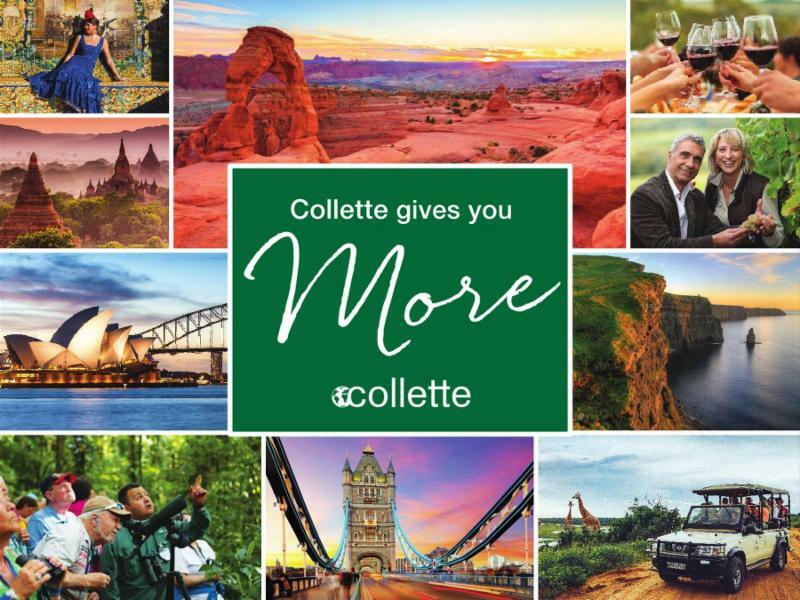 As North America’s most experienced tour operator there are many reasons to partner with Collette ….. 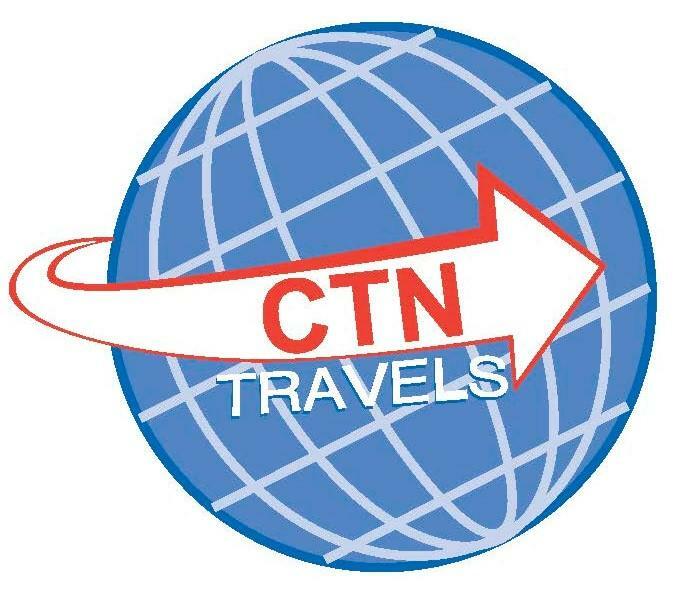 EXPERT TOUR MANAGERS, Collette’s tour managers are the best trained and most experienced in the industry. 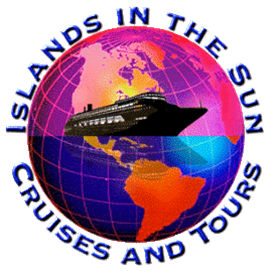 They are trusted local guides — experts in their destination with insider knowledge. Work with Collette and earn the lowest complimentary or the most revenue - the choice is yours. HOMETOWN PICKUP We take the hassle out of getting to the airport with our hometown pickup for all air-inclusive tours (for groups of 10 or more). No more worrying about traffic or parking, you can simply relax. Consider highlighting products or services, sales or promotions, personal bios, and more. Use images that complement your message, and link your images to supporting resources.